I am definitely in need of an easy project now after the last few ones that has been quite time intensive. 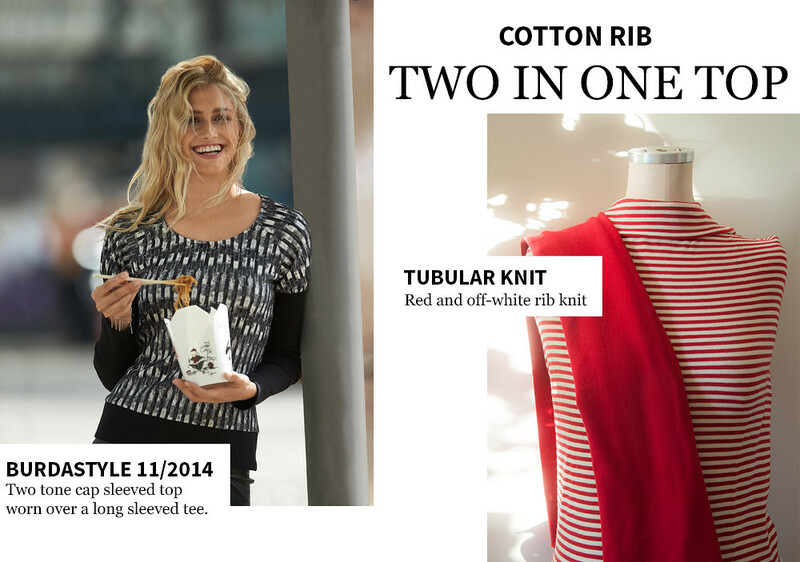 I’m hoping that this Burdastyle top (from issue 11/2014) is the perfect instant gratification pattern for this purpose. It is quite simple while still having a personality to it, which is often the patterns I tend to gravitate to the most. I actually began this project last night. But that turned out to be a huge mess because the fabric had a growth factor unlike any other fabric I’ve ever encountered. Suddenly the neckline could fit an entire family and the bodice was big enough to need a separate room to dwell in. Seriously. If you follow me on Snapchat you could see the whole mess, from my overly excited beginning to the bitter end (Snapchat username: thelaststitch). For my second attempt I’m using some wonderful cotton/rib that is tubular. There is a slightly visible crease in the front due to the tubular design and I actually didn’t prewash the fabric this time because I wanted to utilize the crease as a guide for the fold line when cutting the fabric. Hopefully the crease will go away during pressing or washing. I will use the solid red for the lower sleeves and waist ribbing, and possible for the neckline too. Fingers crossed that I don’t need to throw away this one too, because this is my last piece of striped knit fabric.